Home News Mobile Honor 20 Lite / 20i official: Everything you need to know! 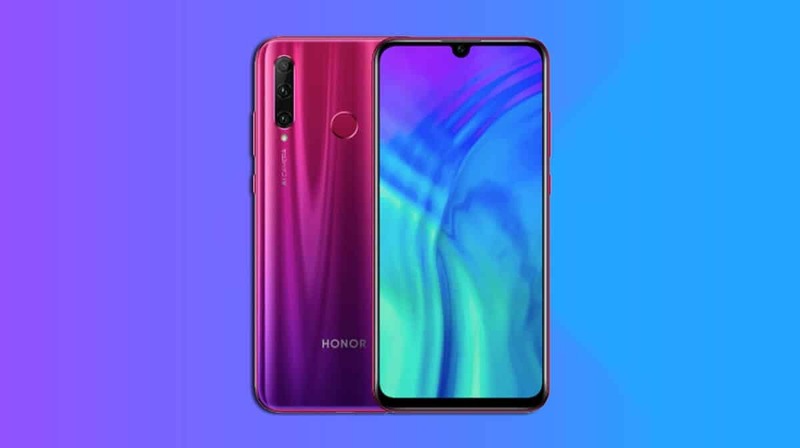 Honor today announced a new smartphone called Honor 20 Lite or 20i as it is known in China. That said, the event was held in China today. First of all, one of the main selling points of this smartphone is that it comes with a 32-megapixel self-camera. However, this is not the only catch. That being said, the high screen/body ratio and triple rear cameras are also outstanding. Let’s see if the Honor 20 Lite is a smartphone that should stay in your wish list or not. For a premium look, Honor 20i bets on a 3D video back. This device has the dimensions of 154.8 x 73.8 x 8mm and weighs 164 grams. However, at the screen level, we find a 6.21-inch IPS LCD panel with a u-shaped notch for the front camera. It is true that it is not an AMOLED; however, looking at the price shortly we will understand why. This device supports Full HD + resolution, and the screen has a ratio of 19.5: 9. In the case of the overall appearance, the lower frame is a bit thick. Yet the others are fine. This guarantees a screen-to-body ratio of over 90%. Also noteworthy is the TUV Rheinland certificate which ensures that we do not have a harmful blue light. First of all, the 32-megapixel camera with f / 2.0 aperture for selfies is in the monobody we can find on the 20i Honor screen. In fact, this smartphone offers several facial beautification features. In addition, it has a technology that allows you to capture better selfies in low light conditions. To make things all go better under these conditions, it also uses the screen to generate light. On the back is a triple chamber configuration that relies on artificial intelligence. It features a primary f / 1.8 aperture 24-megapixel sensor, an 8-megapixel ultra wide-angle sensor, and a 2-megapixel depth-of-image sensor. Triple cameras provide a number of features. This includes scene detection, anti-shake mode and video recording in super slow motion, professional mode, panorama and portrait mode. The Kirin 710 was the bet for Honor 20i. This chipset is supported by up to 6 GB of RAM. The most powerful model comes with an internal storage of 256 GB. There is also a slot for microSD cards. Honor’s new bet has a 3400 mAh battery, no support for fast charging. The Honor 20i also has a fingerprint reader mounted on the back. In the field of security, it still has support for facial recognition. Honor claims that this smartphone stores biometric data on its own chip to ensure additional security. This device comes with Android Pie and EMUI interface with GPU Turbo technology. Other features include 4G connectivity, Wi-Fi 802.11b / g / n / ac, Bluetooth 4.2, GPS, microUSB 2.0 port (it’s worth it), GPS and 3.5mm headphone out.